ArtNauka was created in 2010, when demand for intelligent entertainment started to grow. Initially, the company worked in Science & Art and interactive workshops, creating a format of game-based learning for adult audiences. Over the years, we have worked with many well-known companies and firmly rooted ourselves in the international market. We were reported in the media in 12 languages, and we do not intend to stop there. In 6 years we have come a long way from a start-up company, We now specialize in a wide range of scientific popularization: from workshops and TV shows to huge stage shows and private vehicle presentations around the world. 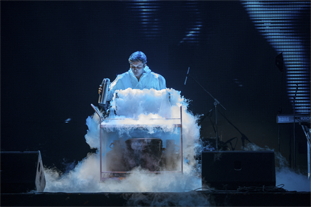 While considering our audience’s feedback and current trends of the time, we have been experimenting with new formats, resulting in the creation of the show “CryoEffect” – the signature product of our company. CRYOEFFECT- is a reflection of the Universe, where stars and planets, like dreams, disappear and reappear again. They seem to be out of reach, but they are not. All you need is to take a step – and the whole world will open up for you. Together, we will plunge you into space. Nitrogen explosions of incredible scale, the dynamics of what is happening around you including the cold nitrogen fog will make you feel you are present at the birth of a new Universe. 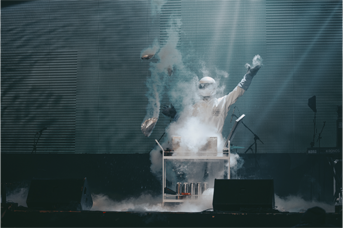 This world’s largest nitrogen show combines new technologies, music, light, and of course, the scientific affects, you can see in Hollywood movies. 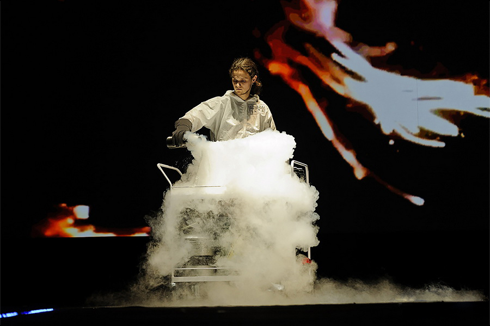 However, unlike in Hollywood, what is happening on our stage is the result of real chemical and physical reactions. 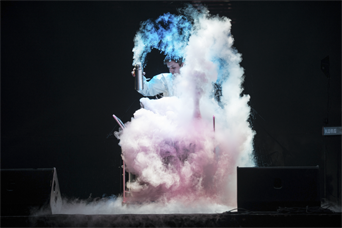 CRYOEFFECT is ideal for conferences, exhibitions and corporate events. Our successful performances at large-scale world events prove this point every time: Wanda Group, (we were lucky enough to perform in front of the Yellow Crane Tower! ), Taobao Market Festival in Shanghai, Abu Dhabi Science Festival, Edinburgh International Science Festival and others.